Towns in Warren, Hunterdon and Somerset counties have applied to have part of Route 78 declared a ‘New Jersey Historic and Scenic Byway.’ But three other towns initially proposed as part of the byway — Alpha, Phillipsburg and Bridgewater — opted not to take part, reducing the 29-mile scenic swath originally envisioned to about 24 miles. One Alpha councilman said he voted against joining partly be cause it would eliminate billboards proposed for town-owned land. Alpha, in Warren County, currently receives between $1,000 and $2,000 per month rent for a billboard on property near the Pennsylvania border. Other billboards also are proposed for Alpha’s land, which includes industrial and farm land, Councilman Harry Zikas Jr. said. “Those billboards would be so out of the way they wouldn’t bother anyone in town, and we’d be able to make the profit,” Zikas said. “We’re looking to get revenue any which way we can. Had we joined the proposal, those billboards would not be permitted.” The scenic byway proposal was started last spring, led by Lebanon Borough Mayor Mark Paradis. He said the idea was to preserve the scenic beauty of the corridor, which runs through mountains, forests and farmland, and passes by picturesque small towns. 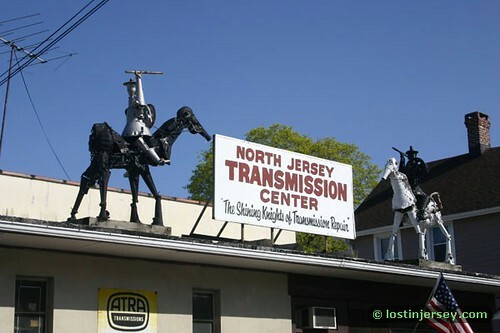 The roadway has history as well: It began as a Native American trade route, grew into a local road, and in 1917 be came one of New Jersey’s first 15 state highways. “It’s a remarkable east-west corridor that has some significant history to it, and we feel that it’s important for people to realize that and for us to preserve it,” Paradis said. 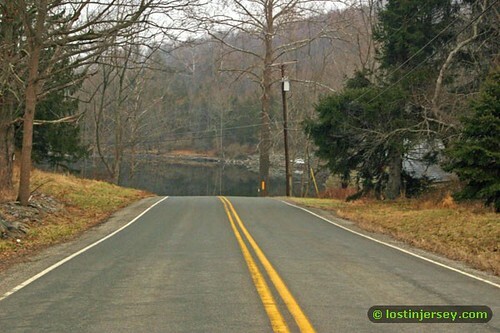 Scenic byway designation also means no off-premises signs can be built that are “visible to any highway or portion of a highway designated as a scenic byway, or … nominated for designation,” according to the state Department of Transportation. Garden State Parkway toll tokens will cease to be accepted in payment of tolls in the new year, signaling the end of an era for an early mode of automatic toll payment. The tokens were last sold Jan 1 2002 but motorists hoarded so many – an estimated 50 million – they continue to be used in small numbers in the Parkway’s automatic coin machines. Sold in rolls of 30 for $10 vs $10.50 for the same number of cash tolls they have offered a 4.8% discount over coins since 1989. The New Jersey Turnpike Authority which runs the Parkway has announced a “token redemption program” to buy up remaining tokens. It is offering $5 for a minimum of 15 car tokens and $1 for others handed over in multiples of 3. That’s 33.3c/token (for the arithmetically challenged.) The car tokens are redeemable at the Montvale (MP171), Cheesequake (MP124) and Forked River (MP76) service plazas on select days in December and by appointment at the head offices of the Authority in Woodbridge. Bus tokens are also redeemable by appointment. Officials think there may be about 16 million tokens out there still. One rationale for not accepting tokens as payment is that they just add to the complexity of counting the coins. Their elimination also helps pave the way for elimination of coin machines entirely in a few years time – though that is not an official explanation. But we’d wager it won’t be more than a few years before video tolling will take over for those without transponders and toll collection becomes all off-road, all-electronic. Also the planned toll increases provide a windfall to token holders and a loss to the toller. Tolls are rising from 35c at two-way plazas to 50c, and at the one-way plazas from 70c to $1. The toll increases are scheduled for around Dec 1. The NJTA has scheduled a second round of toll increases of 50% – 50c to 75c – for Jan 1 2012. Tokens are not that old on the Parkway, though they have been used in subway turnstiles and for telephone calls going back 50 years. They were introduced in the early 1980s on the Garden State Parkway in anticipation of a toll increase beyond the quarter. When the toll was still a quarter rolls of 40 tokens were sold for $10 so there was no discount. Tokens didn’t serve much purpose. From 1989 on when the toll was finally increased to 35c tokens came into their own. Rolls of 30 tokens were sold for the same $10, making them cost 33.3c each. For commuters the single unit throw of a token a much surer thing than the throw of a quarter and a dime, or the quarter and two nickels, let alone three dimes and a nickel. The rule with coin machines has always been: the more the number of coins thrown and the smaller the coins the greater the incidence of hangups – coins not making it down into the mechanism from the basket. Dimes have always been especially troublesome. They are so small they hang up easily. Then the tollpayers gets delayed. There are frustrated and angry motorists. New Hampshire Turnpike stopped accepting tokens in toll lanes Jan 1 2006, but one stubborn Bostonian is challenging the legality of that. Graham Thomas Jensen of Braintree MA subsequently offered two 25c tokens to a toll collector, and when the collector refused to accept them in payment of a 50c toll, Jensen drove off. Hit with toll evasion he was fined $150 but refused to pay and spent three days in jail. His lawyer says that the tokens have no expiry date stamped on them and that the packaging of the tokens also contained no warning of any expiry date. He argues since the tokens were sold to his client without any expiry warning they remain a legal obligation of the issuer indefinitely. By common law contract Jensen’s lawyer says the tokens sold without an expiry date must be acceptable in payment. This, he argues, overrides a June 2005 law which ended sales of tokens Sept 1 2005 and made tokens invalid as toll payment from Jan 1 2006. A history “The First Five Years of the Garden State Parkway: 1954-1959” published by the New Jersey Highway Authority (which operated the Parkway until 2003) mentions “automatic toll collectors” (what we call ‘automatic coin machines’ or ATMs nowadays) as having been introduced very early – “as an experiment in late 1954.” They had spread to most toll plazas and ramps on the Parkway by 1959. We’ve heard elsewhere that these were machines from Cooper & Taller of Brooklyn NY and the pioneers of coin machines with their characteristic coin ‘basket’. A toll veteran of that era told us the Garden State Parkway was the first place in the world that ACMs were put into regular service. The official history says they could take any combination of coins including pennies, but that a bunch of pennies tended to jam them. First tolls were collected on the GSP manually Jan 15 1954 at the Union Plaza when toll collector Edward Circhoswski was handed a quarter by motorist George R Vranken of Linden NJ, the official history says. Traffic had been traveling for free for three introductory days previously. 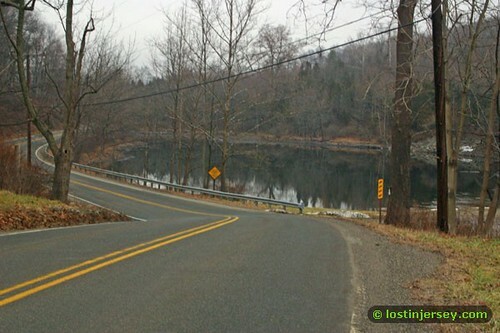 This was in the first section of the Parkway completed – between US22 and the Essex-Union County line. Tolls were 25c for cars at barrier plazas. That’s $1.91 in 2007 dollars (http://www.westegg.com/inflation/). Based on the eleven mainline toll plazas then in use toll plazas were an average of 16 miles (26km) apart, making the toll 1.6c/mile (1c/km). In 2007$s that’s 12.2c/mile, 7.6c/km. Toll revenue in the first year was $9.3m, almost doubling after five years ($18.1m in 1959). The history says that first year revenue was just 3% over forecast by “traffic engineers” (Maybe that’s the problem with modern traffic and revenue studies – they’re done by finance & economics guys like Ed Regan not traffic engineers?) Actual revenue in subsequent years was further ahead of the forecasts made when the toll revenue bonds were sold for construction.Toll tickets in booklets of 80 were sold from 1956 onward. At first they offered no discount but they provided a handy way of claiming expenses and avoided the need to have coins handy. We’d guess – there are no plans we know of – that the ACMs will last until about 2011 on the Parkway and that cash collection via human collectors and machines will cease in time for the 2012 toll increase.The Turnpike recently sent a bunch of tokens to the Smithsonian Museum. They should make sure some coin machines are preserved for history too.